Libya has a short but volatile history. The desert lands between Egypt and Tunisia have undergone major changes ever since Italian colonialism imposed on the local inhabitants the idea of belonging to a territory with defined boundaries and a centralized authority. 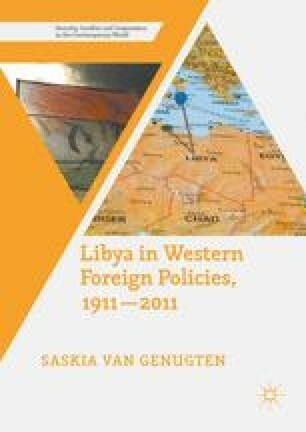 After the Second World War, external powers established Libya as an independent state, a decision made in the framework of the United Nations (UN). The UN itself was, back then, an experimental way of trying to impose on international politics some form of global governance through interstate consultation mechanisms. In the newly invented United Kingdom of Libya, a reluctant, British-backed monarchy replaced ruthless colonial rule. After 18 years in power, in 1969, a group of young military officers overthrew the rule of King Idris al Sanussi and replaced it with a radical, overenthusiastically authoritarian and anti-Western republic.